Babblings of a Mommy: Show Off Your Stripes With #TargetStyle. 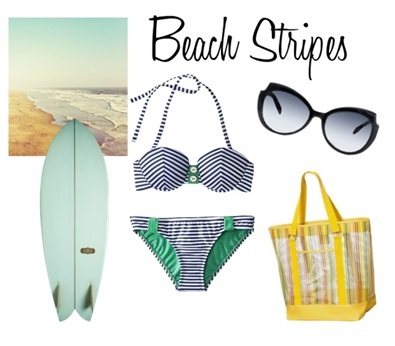 Show Off Your Stripes With #TargetStyle. One quick look in my closet and you will soon discover how obsessed with stripes I am. From shirts to shoes and everything in between this nautical motif has been a staple in my closet for years. Coincidentally, this classic pattern is a hot trend for spring 2013 as well. Horizontal, vertical, thick, skinny – it doesn’t matter. The linear lines channel an easy-breezy feel that go hand-in-hand with the warmer temps. I’ve been browsing Target’s virtual aisles for the coolest striped pieces and have pulled some of my favorite items and even styled them for you! First, I spotted this Mossimo women’s stripe maxi dress. It’s so casual chic and perfect for spring! I paired it with a Mossimo denim jacket, natural straw fedora, Merona crossbody handbag, and Hailey Jeans open toe ankle strap wedge. For the second look, I styled the Mossimo cowl neck tank with some green chino shorts from Merona, and finished with a Mossimo denim jacket and ona ballet flats. I love how simple and pulled together this look is. Finally, I got inspired by Xhilaration bandeau two-piece suit with its retro details and contrasting colors. A cute suit like this needs some awesome sunnies of course, so I paired it with Mossimo’s round sunglasses and multi-stripe beach tote for a fabulous trip to the beach. 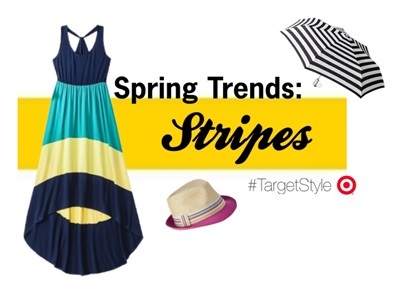 To find more styles like these visit Target so you can walk the line in style all spring long! Love the beach look Jenny. What are you using to put together your collages? They look great! I have that maxi! It's soooooo light and comfy! Love a great striped garment as long as it's not horizontal stripes LOL! I'll do vertical, diagonal, and chevron but horizontal stripes make me look too boxy. So many cute outfits here! But I'm really loving that maxi. It is perfect for spring and summer! First of all, hello fabulous new design! Looks AMAZING, congrats. Second, love all these combos. Target has some amazing finds! Absolutely love this post! I'm obsessed with stripes!